The World No. 201 gained his third win in the fourth meeting between the two. Rubin is the first champion on the ATP Challenger Tour 2018. Noah Rubin is the first champion of the new season on the ATP Challenger Tour. The 21-year-old captured the title of the $75,000 Internationeaux BNP Paribas, beating second seed Taylor Fritz in an all-US-American-final 7-5, 6-4 on Saturday afternoon. Rubin saved seven of the eight break points he faced, converting three of his own to secure victory in one hour and 36 minutes. First #ATPChallenger  of 2018 goes to @Noahrubin33! By taking his third ATP Challenger crown, following his triumphs in Charlottesville 2015 and Launceston last year, the New York native earns $10,800 in prize money as well as 90 ATP ranking points. 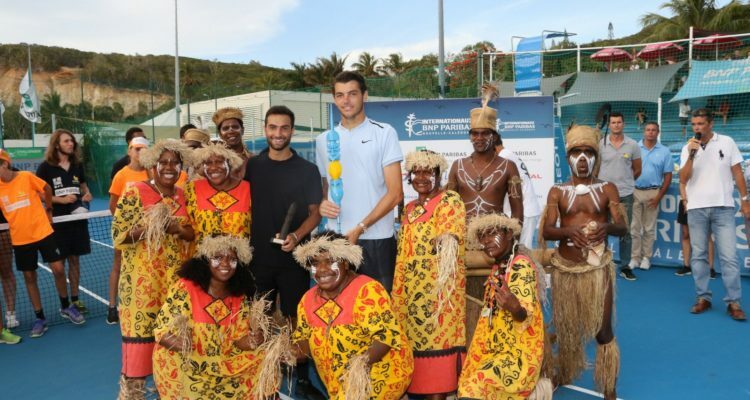 This entry was posted in ATP Challenger News, ATP Challenger Tour and tagged ATP Challenger, Noah Rubin, Noumea.